Measuring the ROI of a CoachingOurselves Program. How greater participation in the program is positively related to greater sales and profits for the organizations. Download and read the full Fujitsu SSL White Paper here. Gildan is one of the world’s largest vertically-integrated manufacturers of basic apparel with over 50 000 employees worldwide. The Company controls almost every step in the manufacturing process, from raw materials to finished garments. 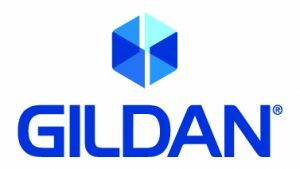 Gildan uses CoachingOurselves, the approach created by Henry Mintzberg and Phil LeNir, as part of their leadership development program for managers with over 113 participants, in more than 8 countries. We Spoke with Gildan’s Global Director Organizational Development. to learn more about their success using CoachingOurselves globally. Read the Gildan Case Study! We spoke with the Vice-President Talent and Culture about Intelerad’s objective was to improve agility, collaboration and sense of community in the organization in order to develop a workplace that adapts to the reality of the employees and to be a place where they feel comfortable enough to bring up new ideas. CoachingOurselves quickly imposed itself as the answer to this need of developing leadership and collaboration. This is the story of the design and deployment of a leadership development program using CoachingOurselves 90-minute leadership discussion modules with action learning to increase the leadership capacity at in the Fordham University IT department. This story is written by the Vice President and CIO of Fordham University. Fujitsu Social Science Laboratory (SSL) is a division of Fujitsu Group with 200$ million revenue and 1,168 employees. Since 2007, Fujitsu SSL has used a custom CoachingOurselves program for management and leadership development. Now more than one in two middle managers have adopted this form of social learning for improved communication and managerial skills. Download and read the full Fujitsu SSL Case Study here. This is the story of the use of CoachingOurselves modules for 1,700 managers and leaders at McGill University, as recounted by Johanne Houle, director of organizational development. "Like many universities, we face a combination of organizational challenges: budgetary constraints, complex labour relations, and continual changes in higher education. We need tools to strengthen and maintain a vital sense of community among our managers and employees..."
This award-winning EFMD case study describes the use of CoachingOurselves as a tool for organizational development from management development. There is also a 20-minute educational video by Professor Mintzberg, which introduces how this is an innovative solution to the age-old problem of having a changed manager return back to an unchanged organization. Read the Lufthansa/IMPM/CoachingOurselves Case Study here. Watch Henry Mintzberg describe the IMpact program, which uses CoachingOurselves. Read the OD Practitioner article by Henry Mintzberg on the IMpact program. This the story of the .bmp program, a one year cultural change program for 30 senior managers. This extensive program had 14 CoachingOurselves sessions, custom topics, guest speakers, IMpact sessions, journaling, and reflection papers. The Administrative Appeals Tribunal has seven offices operating across Australia and provides independent review on the merits of a wide range of administrative decisions made by the Australian Government and some non-government bodies. This case study describes their use and results, of CoachingOurselves for leadership and management development. The Administrative Appeals Tribunal case study. "As a psychology major I learned that the most important work in psychology was research on how learning actually happens. The basic model is simple—you learn from experience. 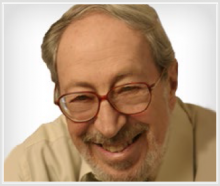 You have some kind of goal, you try something and then you get feedback on whether or not you are closer to your goal..."
Continue reading The best way to learn by Ed Schein. This case study describes the partnership between ING Business School and CoachingOurselves. It describes the Connect, Connect, Connect initiatives which leverage CoachingOurselves themed discussion guides in a number of interventions for leadership development and to increase engagement. Read the ING business School case study.